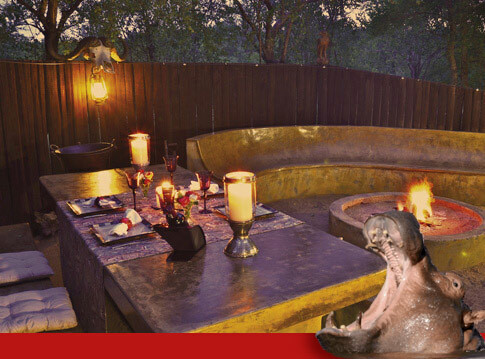 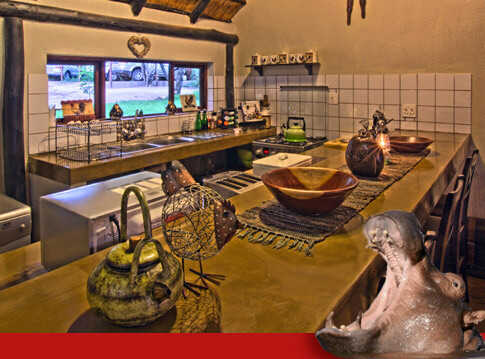 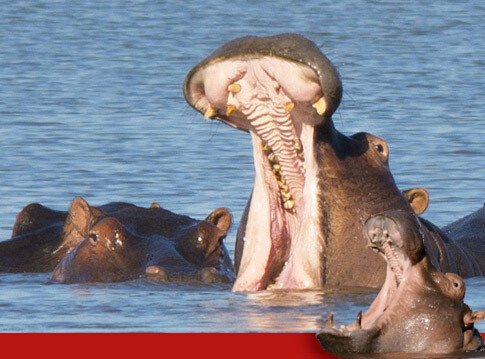 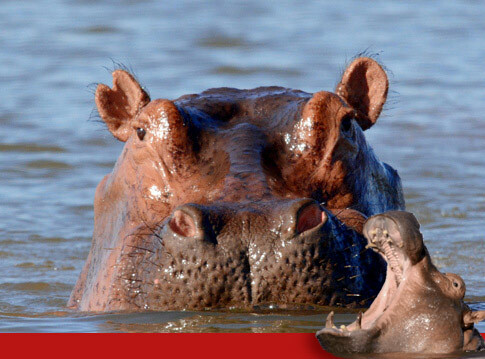 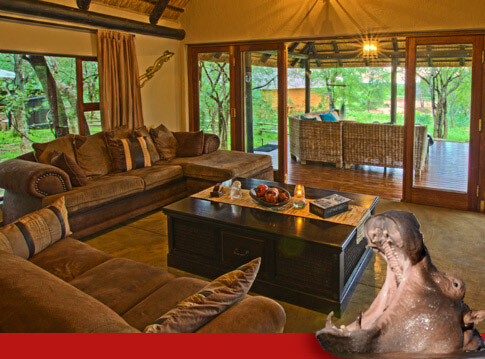 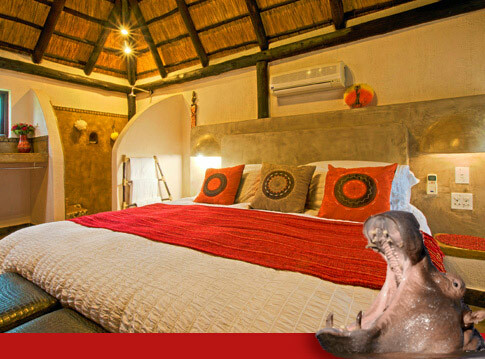 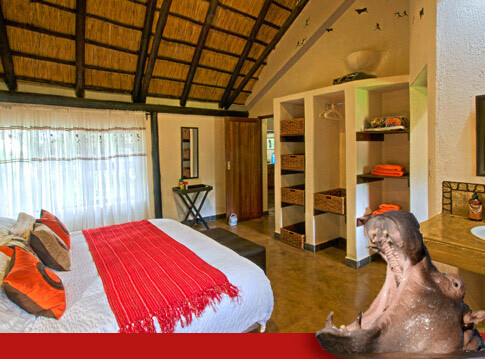 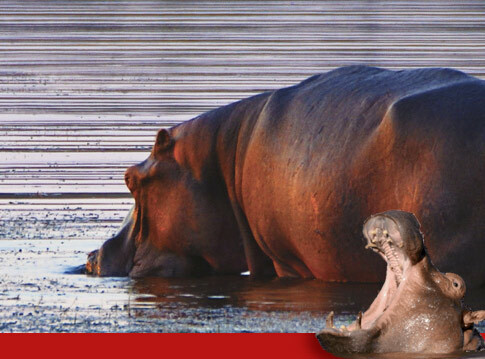 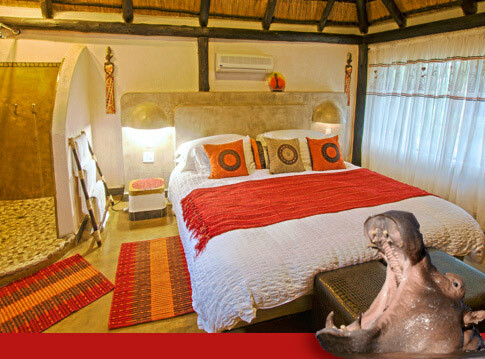 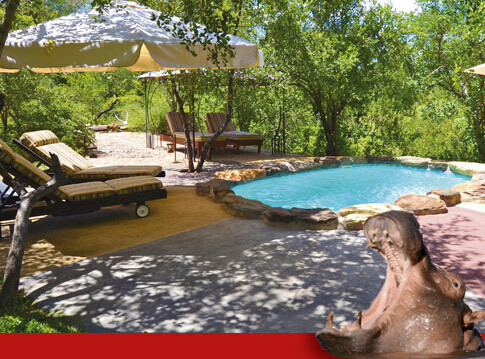 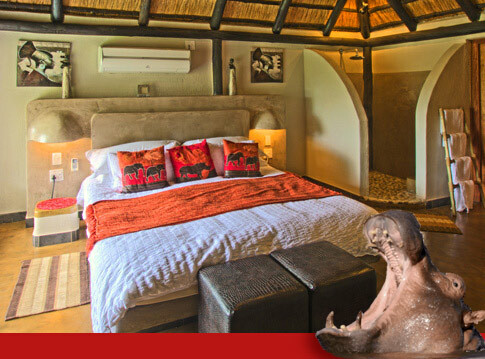 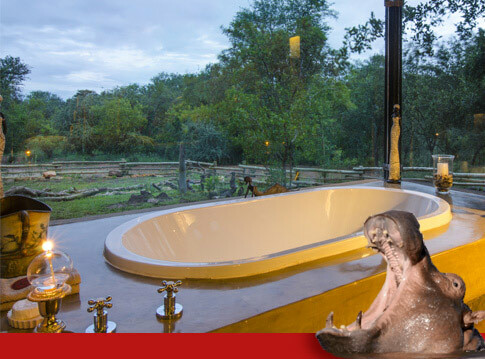 The Hippo unit has two bedrooms – both with king size beds and en-suite bathrooms. 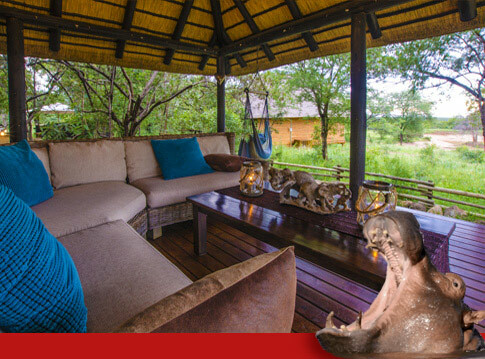 It also offers a large lounge with a selected DStv package; a fully equipped kitchen; a large, raised patio with dining facilities; recliners and a splash pool as well as a boma with a fire pit and built-in braai. 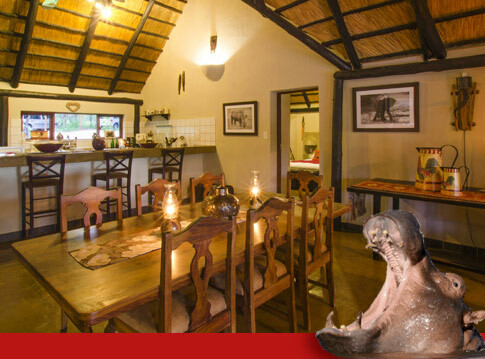 Guests who have opted for self-catering are also invited to enjoy the Main Lodge facilities, game drives and other activities offered at the lodge.